The humble bean steps into its proper light as a powerhouse of protein and disease-fighting nutrients. They're cheap, versatile, and chances are, they're sitting in your pantry right now. But there's more to love about beans than the way they can stretch a tight budget or make a mean burrito-these little powerhouses deliver muscle-building protein, energy-boosting carbs, heart-healthy fiber, and cancer-fighting antioxidants. Plus they fill you up quickly, so you can eat less but still feel satisfied. Use beans out of the can, or soak and simmer dried varieties in a slow cooker all day for dinner tonight. Long a staple in Europe, Asia, and other parts of the world, fava beans have only recently caught on in the United States. Enjoy them for their buttery texture and nutty flavor, and know that you're getting a big boost of iron, protein, and fiber with every bite. You won't miss the meat with this hearty burger. 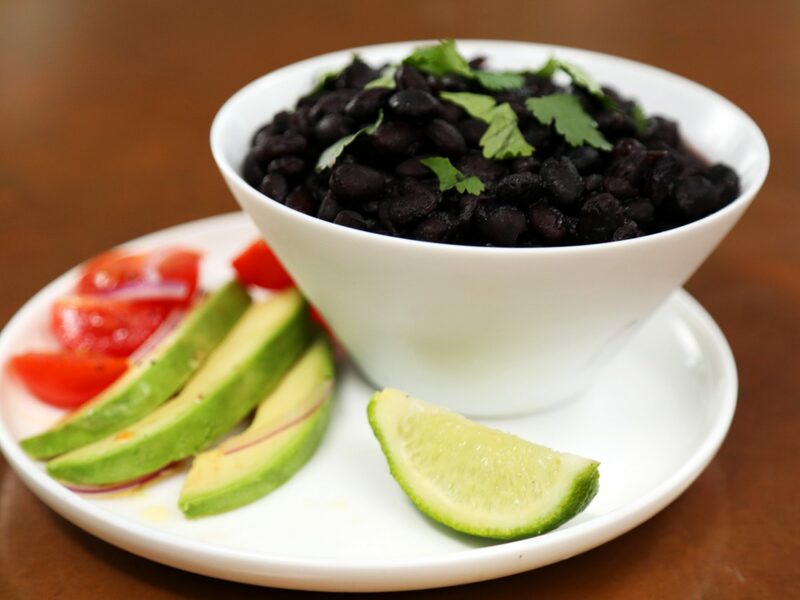 Black beans deliver plenty of protein plus thiamin, folate, iron, and other important minerals. Using canned beans saves time; rinsing them decreases the sodium. This tasty chili scores a triple run with protein-and fiber-rich cannellini beans, pinto beans, and red kidney beans, which studies have shown can help lower "bad" cholesterol. Butternut squash, red bell peppers, garlic, green onions, and tomatoes add to the garden-fresh mix. 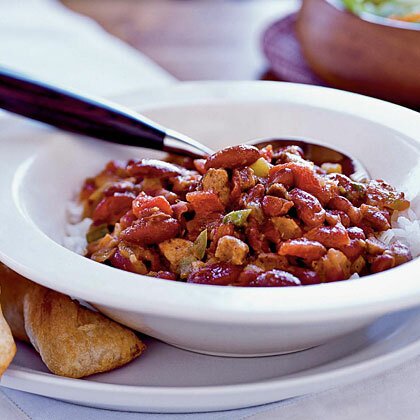 Dried red beans team up with turkey sausage and long-grain rice to make a deliciously satisfying, protein-rich meal. And that's not all-red beans soar in antioxidants, critical for protecting against cancer and other diseases. This colorful salad delivers protein plus a double dose of iron and fiber, thanks to fresh baby spinach and Great Northern beans. The simple maple syrup dressing provides a touch of sweetness. 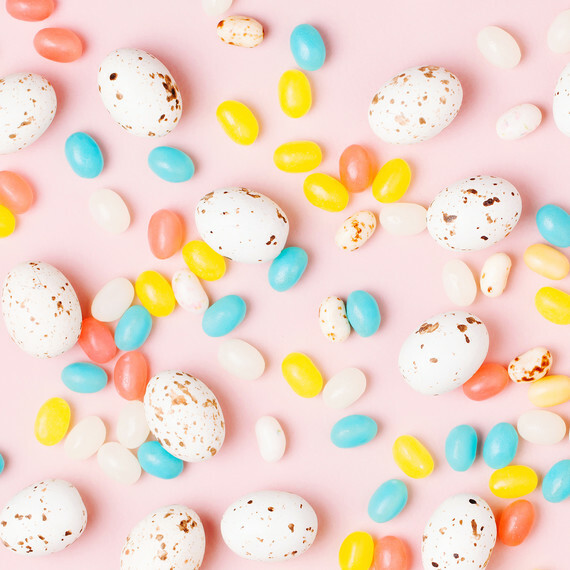 Take your pick-whether you use pinto beans or the optional black beans, you still get plenty of protein that's low in saturated fat and cholesterol. This recipe skips the usual fat-laden nacho ingredients in favor of fresh cilantro, vitamin-rich avocado, and crisp baked tortillas. Cannellini beans pair up with salmon-another terrific superfood-for a delicious dish that's bursting with Mediterranean flavor. Just some of the health benefits in store: lean protein and fiber, plus heart-healthy omega-3s from the salmon and cancer-fighting lycopene, high in grape tomatoes. This tasty recipe combines two nutrient superheroes-Great Northern beans and black beans-for a colorful, protein-rich appetizer. Green onions, garlic, chiles, and reduced-fat cheddar cheese add flavor without a lot of fat. Are red beans and kidney beans the same thing?